Can you believe it is *almost* Valentine’s Day????!!! I feel like it was only yesterday that I stepped into my new grade, classroom, and school in August and here we already are on the final countdown to state testing???!?!?!?!? 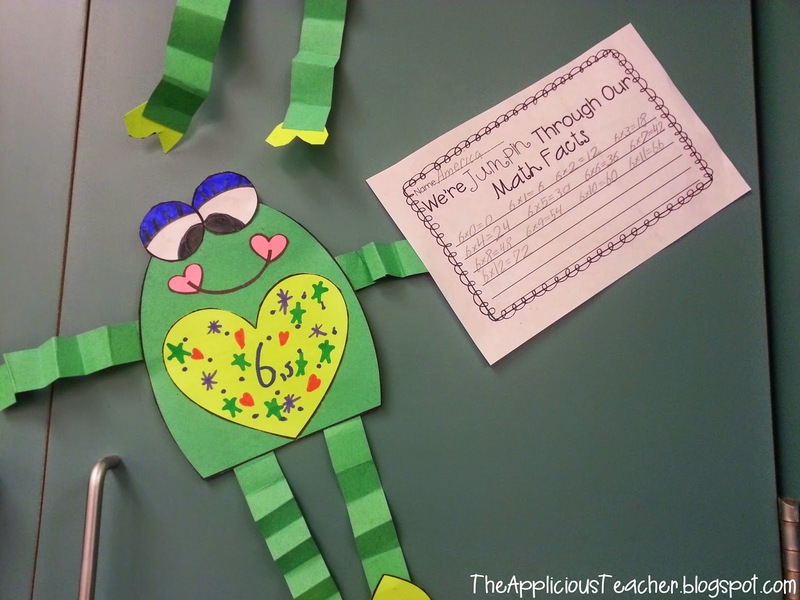 But let’s clear that unpleasant thought from our heads and float to the love that is bubbling up in the 3rd-grade room of this Applicious teacher. 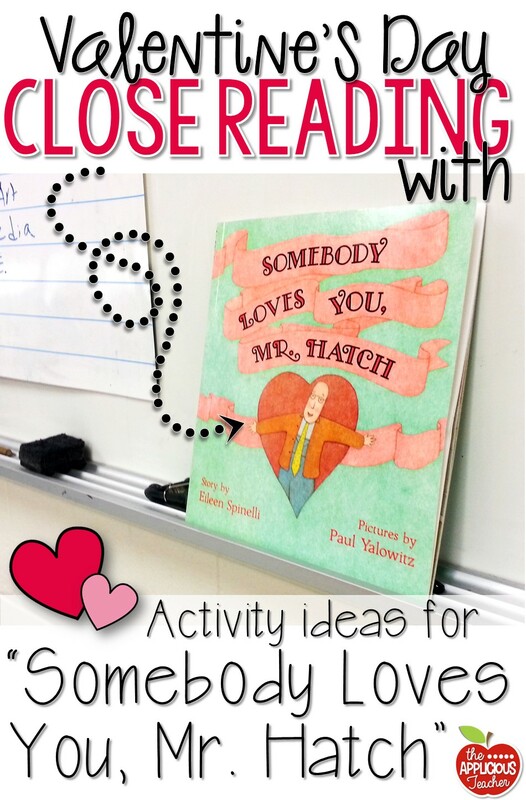 This week we’re using, “Somebody Loves You, Mr. Hatch” as our close read. We’ve been able to bend this book into almost every skill I needed to cover in both reading AND writing this week! I owe a HUGE thank you to my FB fans for the suggestion! It will def become a Valentine’s staple! If you haven’t checked out this book, be sure to! It’s perfect for any time of the year, really! Love these ideas? 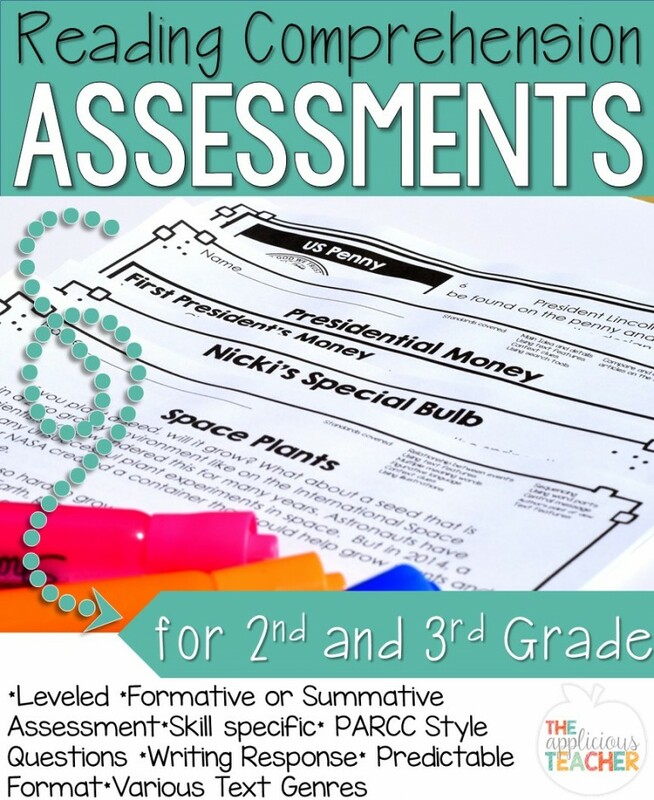 Grab these activities and MORE! For our first read, we review the characters, setting, and plot. 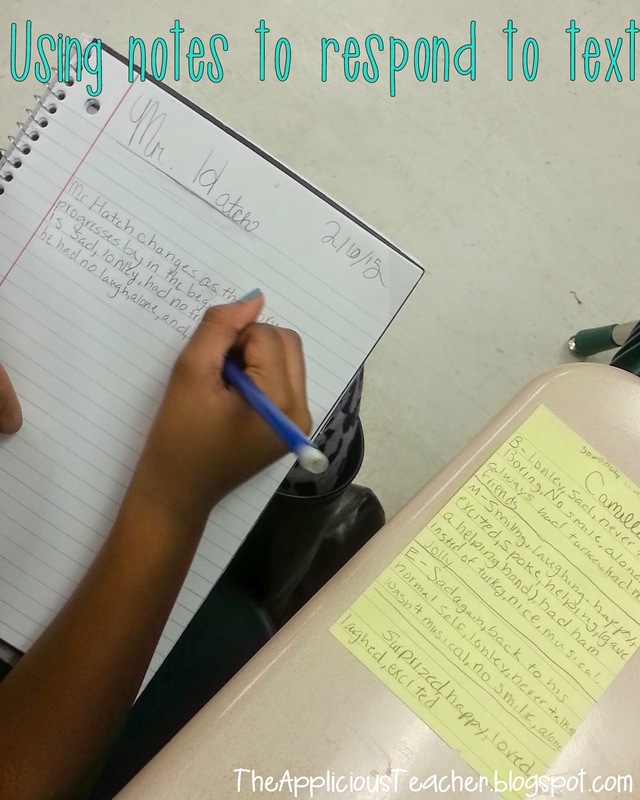 After reviewing that key information with our shoulder buddies, I had the kiddos write a short summary in their reading response journals (RRJ). 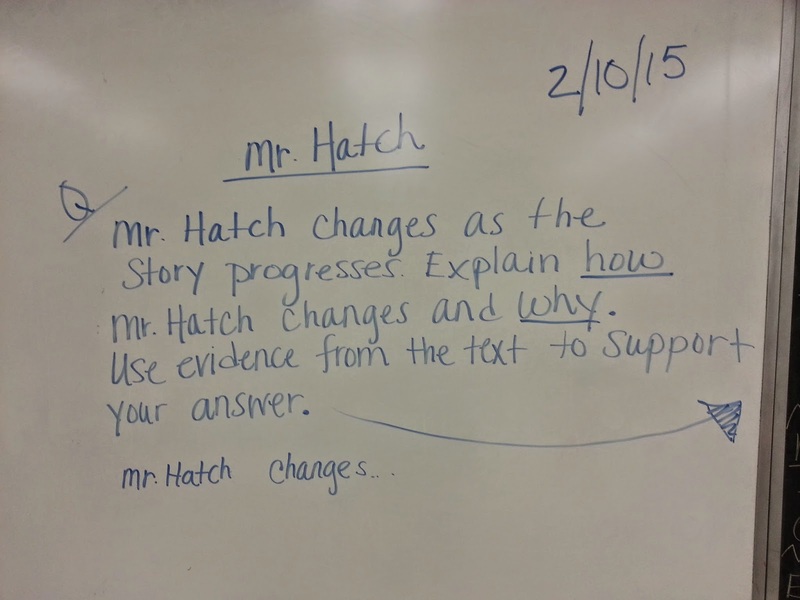 As student’s listened to the story, I had them make notes on how the main character, Mr. Hatch changes throughout the book. 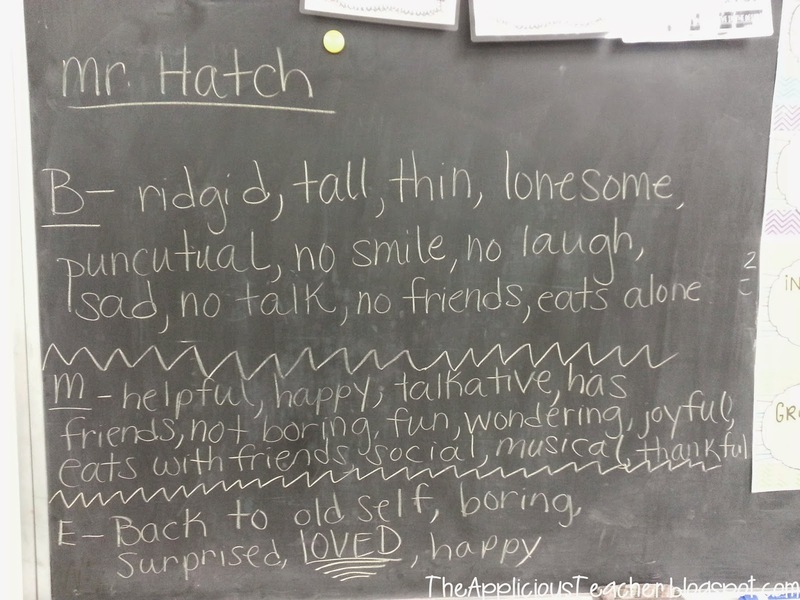 Then, we reviewed character traits of Mr. Hatch at the beginning, middle, and end of the text. Tomorrow, we’ll be doing a shared reading of the book and looking at the relationship of events as we ID the problem and solution. On to writing! We’re also using this lovely story as a launching point for our writing project this week. 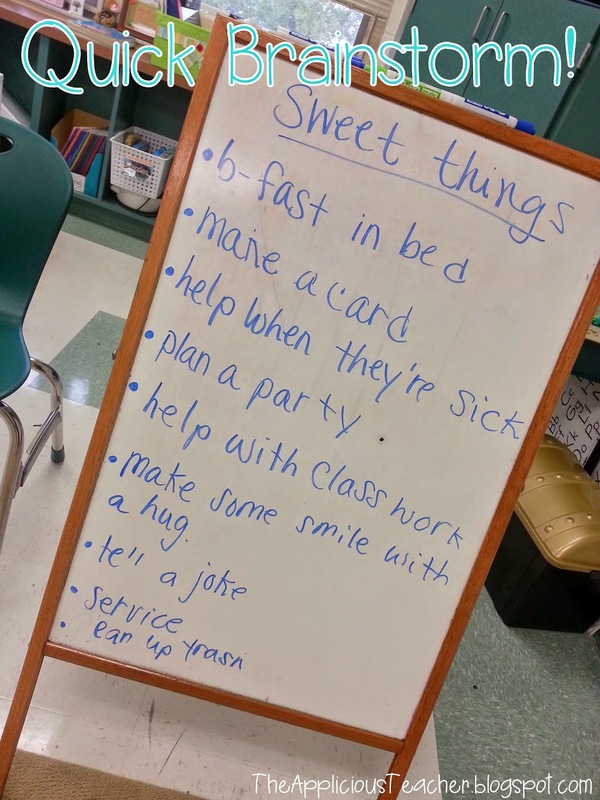 After reviewing the concept of the story, we brainstormed some special and sweet things we’ve done for someone. 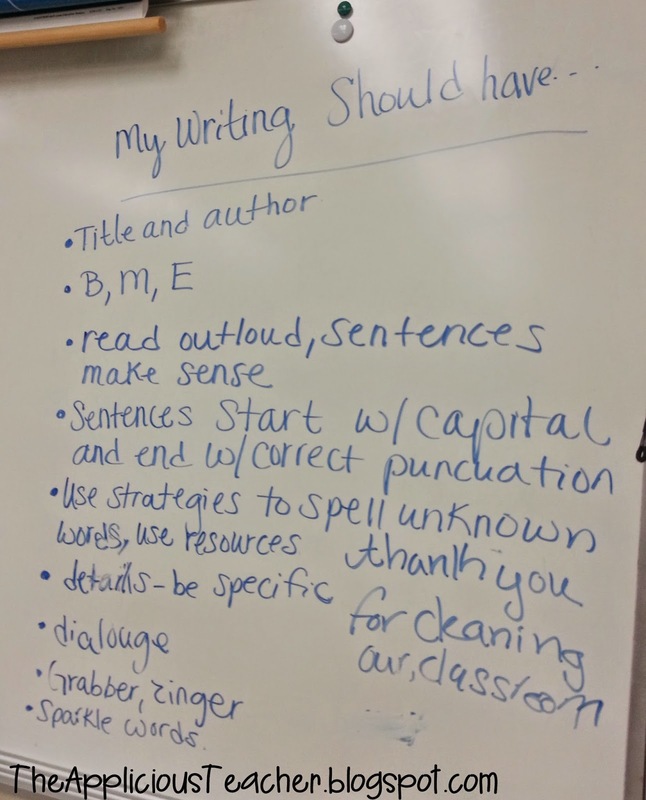 After discussing some sweet things we could do, the kids used this brainstorm to help focus their writings. 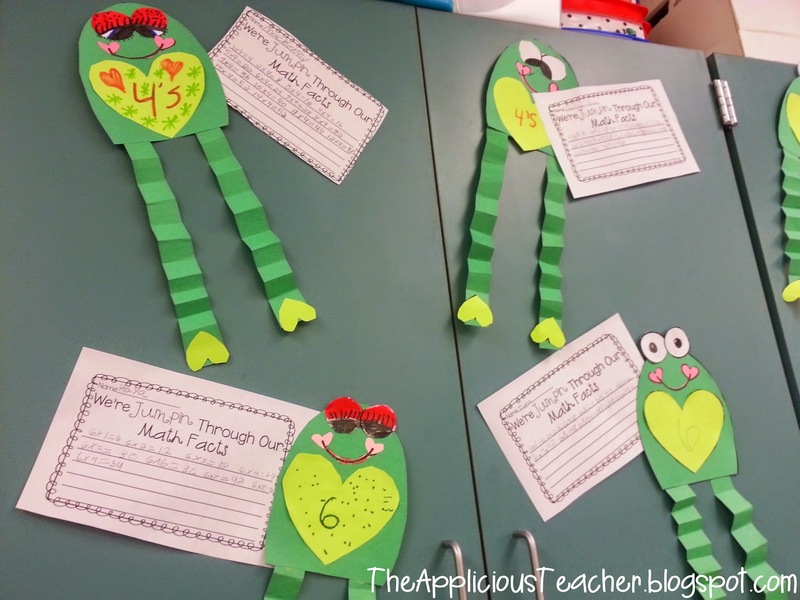 The kids LOVED making them and they were perfect for helping us remember our facts! Love how creative they got with their froggies! 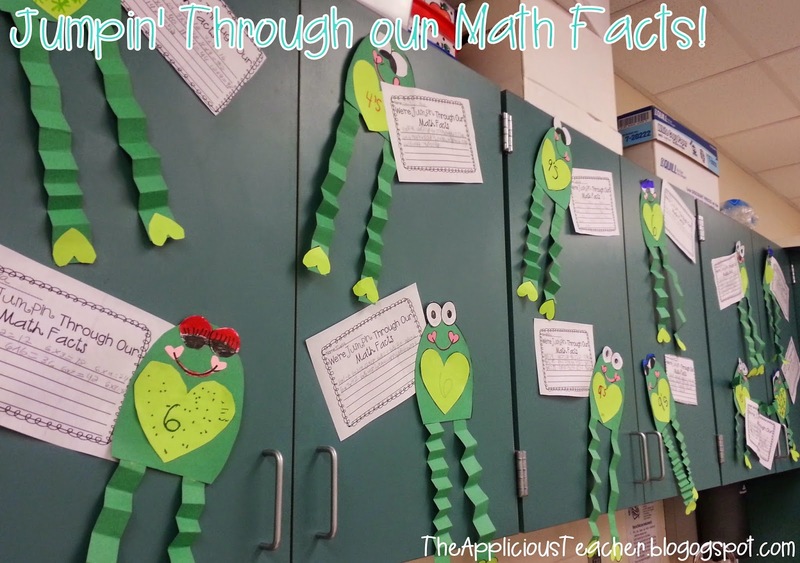 You can grab the little math fact half sheet here for FREE! Be sure to re-download this unit if you already have it! There’s so much I’ve added! 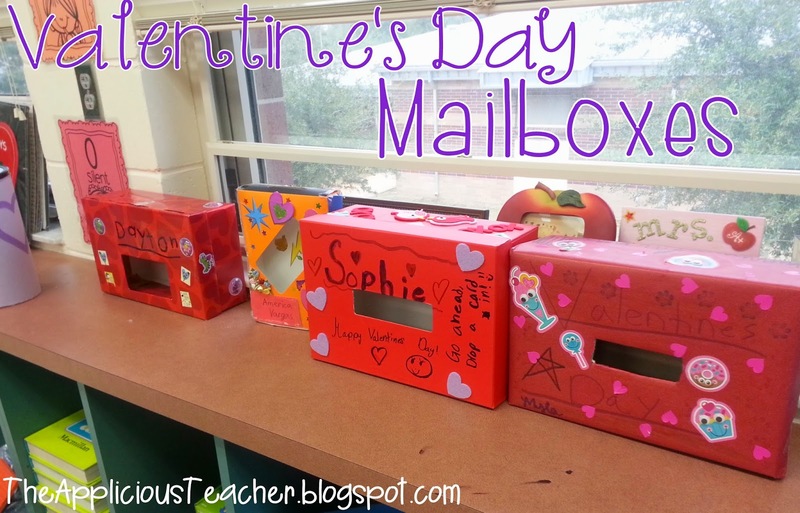 In preparation of our little Valentine’s Day shin-dig, the kids have been bringing in their own mailboxes. I love seeing how creative they get with this! Here’s a copy of the letter I send home explaining this activity! Whew! Well wish me luck this week! I’ll be back later to share the rest of our V-day fun with you!